The Kent County Show has built up a brilliant reputation over the past few decades as a first class venue for National Horse of the Year qualifiers. There were nearly 130 horse classes over the 3 days with almost 1,000 entries each year. Classes started early each day and with 2 large dedicated Equine Rings and a state-of-the-art practice ring, visitors could watch a full program of competitions throughout the day. The Kent County Show hosted many Horse of the Year Qualifiers during the three day event at the Kent Showground, Detling. These prestigious qualifiers are part of the outdoor season ahead of the main event, which takes place at the NEC Birmingham.  The Kent County Show has an impeccable reputation for all its equine competitions and the main ring showcases some really exceptional Show Jumping competitions. Visit the website nearer the Show for further details. Scurry Driving, or Double Harness Scurry Driving, is the driving of a pair of ponies pulling a carriage around the arena. The turnout has to negotiate a course of 12 gates, multiple obstacles and a slalom that is only 40 centimetres wider than the front axle of the carriage. Because of the twists and turns the carriage also has a groom to help balance it. Should the groom lean the wrong way, it could result in the carriage overturning. The events are fast, furious and great fun. The Heavy Horses competitions happened each day at the Kent County Show. Visitors could also see these majestic and powerful horses in a specially built stable area and watch as the horses were prepared for competition. Equinational were on site throughout the three days of the Kent County Show taking photographs of all the horse classes. For more information or to see a copy of the photos please visit www.equinational.co.uk.